Teachers are in a class by themselves. “Teaching,” the old saying goes, “We’re not in it for the income. We’re in it for the outcome.” Financial advisors can provide invaluable assistance to teachers in obtaining the greatest financial outcome from that income. This Perspective represents insights developed from research with more than 1,600 Educators or retired Educators. It discusses their attitudes and behaviors around investing, their product use, asset allocation, advisor usage and more. What comprises their portfolios? Are they more aggressive or less risk tolerant than investors of other occupations? 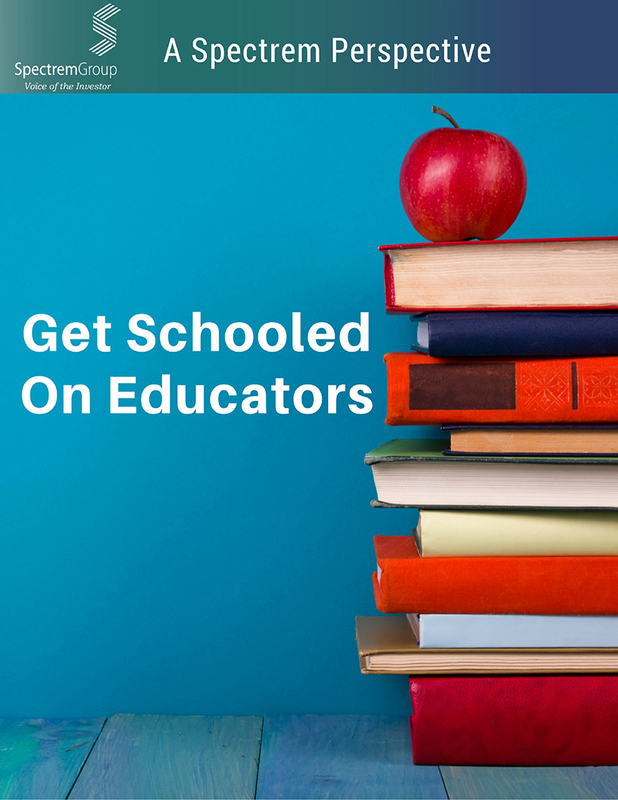 Get Schooled on Educators answers these questions and much more.